As Bellator prepares to embark on its 2014 Summer Series and Season 11 this fall, the promotion continues to add to the roster with a collection of new signings to bolster an already impressive collection of talent. With the latest additions, Bellator now boasts a lineup of over 180 fighters from around the world. 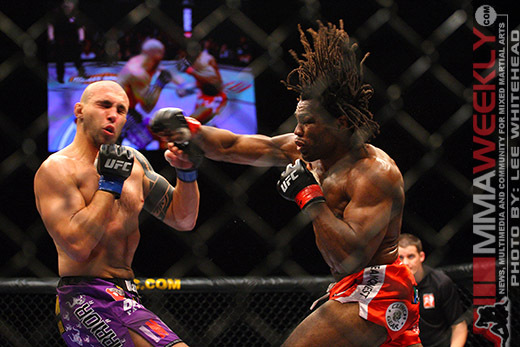 With the likes of Rampage Jackson, King Mo, Emanuel Newton, Tito Ortiz and Liam McGeary, the Bellator light heavyweight division has seen a dramatic makeover in the last year and the additions continue with Rameau Thierry Sokoudjou joining an already impressive division. 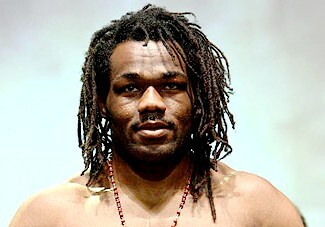 “The African Assassin” will make his Bellator debut on June 6 and wants to make his mark on the Bellator light heavyweight division quickly. New Jersey native Tom DeBlass is also joining the Bellator light heavyweight ranks after two TKO victories inside the Bellator cage in 2013. The Ricardo Almeida Jiu-Jitsu product has signed a long term extension with Bellator, and is looking to take the next step in his career with a memorable 2014. Currently riding a six-fight win streak that includes four submission finishes and two knockouts, the French born Malik Merad joins Bellator looking to build on an already impressive career. The submission ace boasts 17 finishes in his 19 victories and will look to continue that trend inside the Bellator cage. Undefeated Russian heavyweight Dmitry Sosnovskiy has joined Bellator fresh off a first round knockout victory over Aleksander Emelianenko. Sosnovskiy joins a division currently featuring Russian heavyweights Vitaly Minakov and Alexander Volkov, and looks to continue in their footsteps. When New Mexcio’s own Steve Garcia was matched up against Shawn Bunch at Bellator 105, most assumed Bunch and his All-American wrestling credentials would be too much for Garcia. No one told that to the man they call “The Mean Machine”, and Garcia delivered a stunning third round knockout to Bunch that shook up the bantamweight division. The victory earned Garcia a long term contract with Bellator, and the undefeated knockout artist is set to prove his undefeated record isn’t a fluke.